As you can see from this photo the flies will hide in the gaps around the frame of the window. This will result in many fly droppings appearing very quickly. 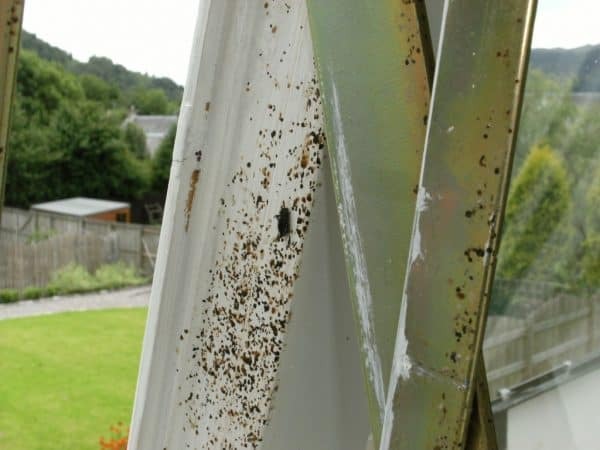 We can offer many different solutions to prevent this happening to your windows so if you have a fly problem give us a call today 0800 0283 703 or complete our online contact form.